The Brazil 2014 Fan Zone at Katara, was designed to provide a dedicated area for football fans to escape the extreme summer temperatures and watch the last 16 matches of the World Cup on Qatar’s largest LED screen in a unique, specially-constructed, open-air, cooled venue. 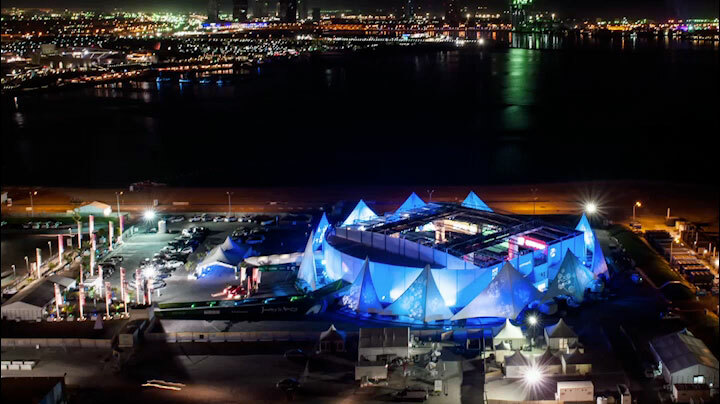 The Fan Zone, featuring a fully retractable roof and innovative cooling design brought Doha summer temperatures and humidity down to comfortable levels. The experience was underpinned by a pre-booking digital RFID system, that supported not only the security of the venue but also facilitated a number of the activities with content posted automatically to Facebook.